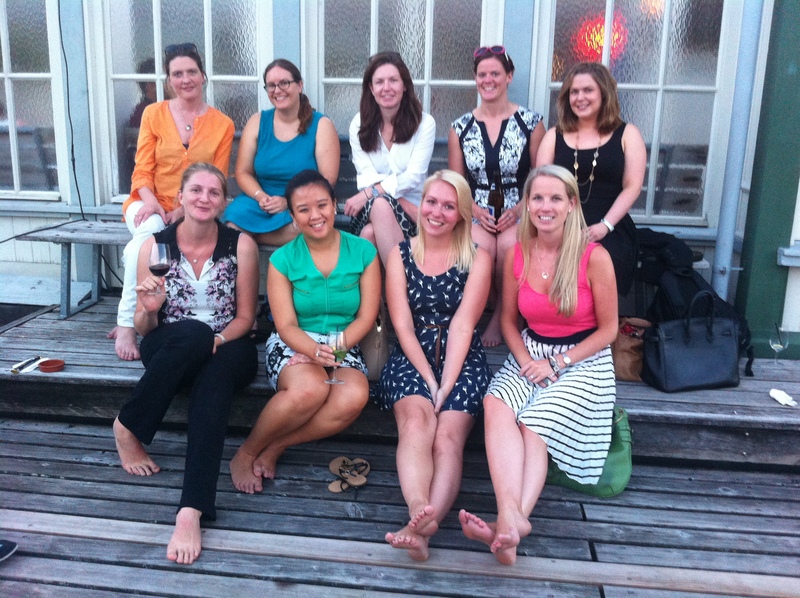 The Summer Leopard’s League came to an end a couple of weeks ago, and we took the opportunity to celebrate in true Zurich Summer style at the Frauenbadi. The leopard league was over a six week period and we had two great competitive teams the ‘Alligators’ and the ‘Crocodiles’. Due to the lack of Summer weather we only got to play four of the six matches, but each match was tight with only a few goals to spare. The ‘Crocodiles’ were the winners, winning three of the four games played! CROC CROC CROCODILES!! The league ran really smoothly with a great turn out for both teams! A big thanks and well done to both teams and our umpires! 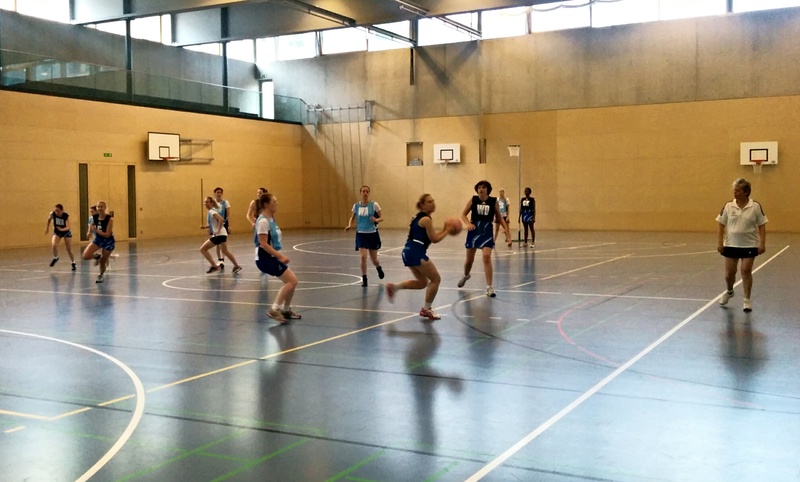 Happy Birthday Zurich Netball Club! 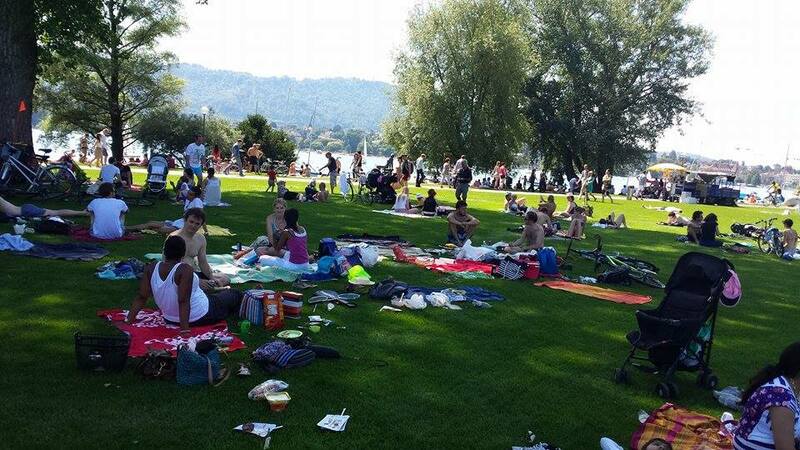 To celebrate the club being a grand old age of 5, we all got together for a BBQ by the Lake! 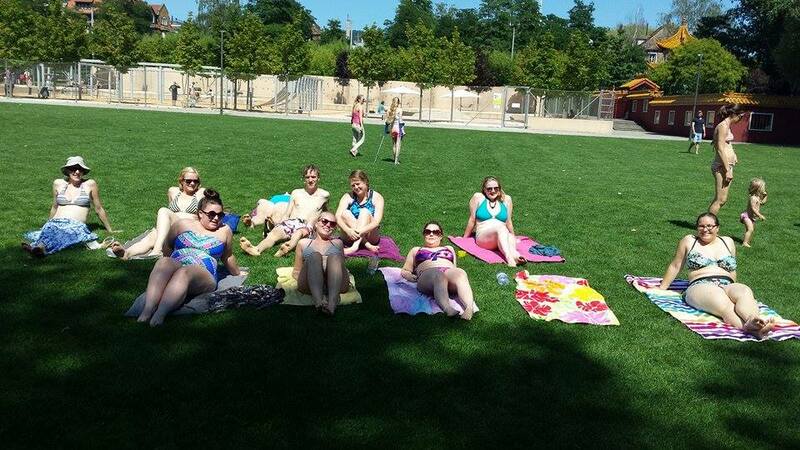 The sun was out, the water was warmish, and the company was great! We had some girls brave the waters of Lake Zurich, and other battled it out at Badminton. It was a great chance for everyone to catch up with old and new faces. 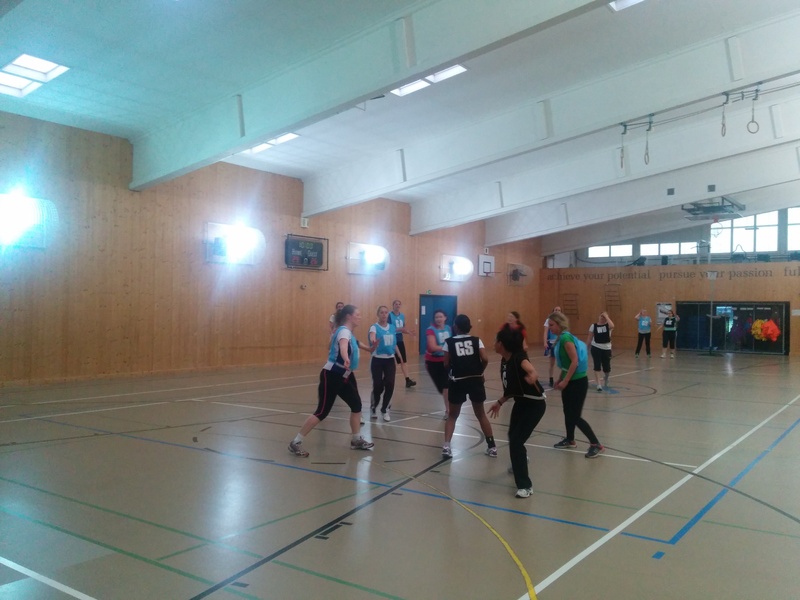 On May 17th, a group of dedicated netballers (and a few of their friends and partners) joined 908 teams for the annual Zurich Sola Lauf. It was the third time the club took part in the Sola Lauf, and we are proud to say tht we completed the 116.6 km relay race in 11 hours, 32 minutes and 47 seconds!! With an overall ranking of 843rd. Eight of our members and five of their friends got together to run the 116.6km, with running legs ranging from 4.2 km to 14.1km. 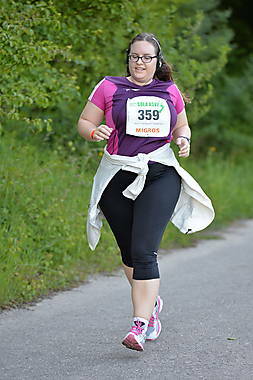 A big well done to our club members, Barbara (who had to start at 7.30am and also for beating her time of last year), Katherine (who tackled the ups and downs of the Üetliberg), Juliet (who battled the midday heat), Sophie, Doris, Lorna, Vicky and Farzana, as well as their brave friends, Garry, Alex, Lothar, Matt, Peter and Jo. A great achievement by all our runners. We are proud of you!!!! Thanks for doing such a great job at representing our club! Please add a note for the beneficiary with your name when you send it, and also send an email to zurichnetball@gmail.com to let us know you have done it. 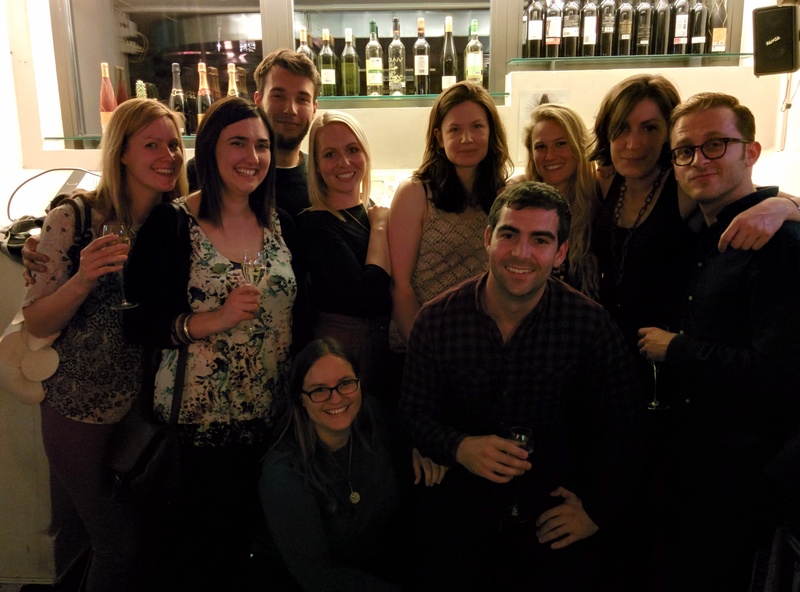 Our experimental May Madness month was a great success and it was great to see so many faces, old and new, at training over the last month. As promised, we will treat everyone who made a full house to a free drink at our drinks night – and everyone who came during the month will get their stars! Hope to see you all there. Remember to sign up on this week’s doodle! 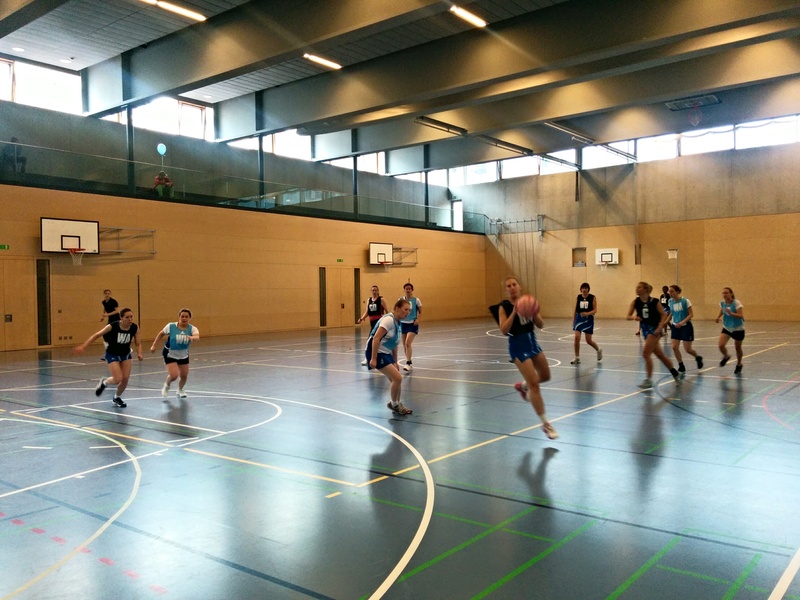 Zurich players enjoyed an active Saturday morning of netball at a recent friendly tournament hosted by Zug Netball, with 4 teams in attendance and a full size court to test our fitness levels. 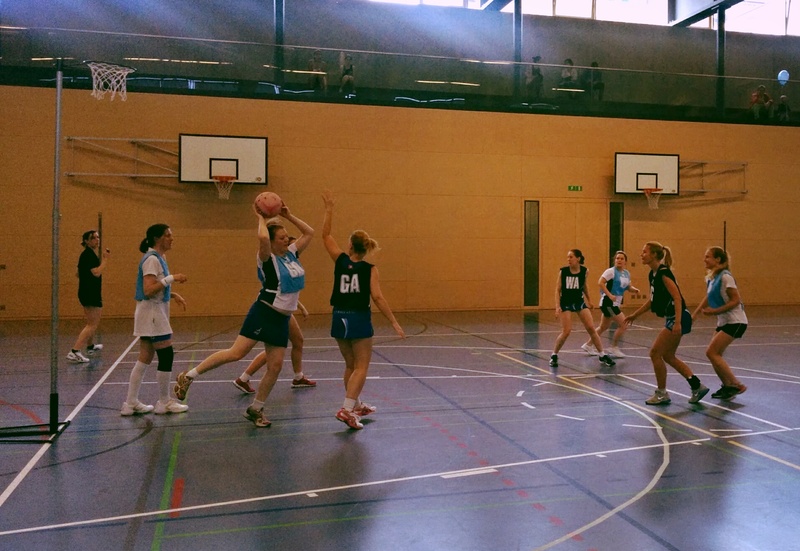 The final of Zurich 1 vs Zug Seniors was a close run game with Zug emerging as the eventual winners. Thanks to all the Zurich players who made it, it was great to see so many people there, to Phil for being our travelling umpire par excellence and the Zug committee for inviting us to their lovely Oberargeri venue – we hope we’ll be back soon! Tournament: Sat 24th May 9am – 1pm. Order of play TBC. How to get there: The venue is Dreifachhalle / Music School Hofmatt, Hofmatt 2, Hofmattstrasse Oberägeri. If you are getting public transport, you need to get to the Zug Bahnhof. From there walk outside to the buses and take BUS NO.1 to Oberägeri. Take the bus to the last stop and then you can walk across to the hall. To get there in time you can get the 07.35 train from Zurich HB then the 08.10 bus to Oberägeri. Several players are driving – please get in touch with your team to see if there are any seats! Team lists have been sent out – please get in touch with team members to discuss where your preferred positions, etc, are. And see you all on Wednesday for training! 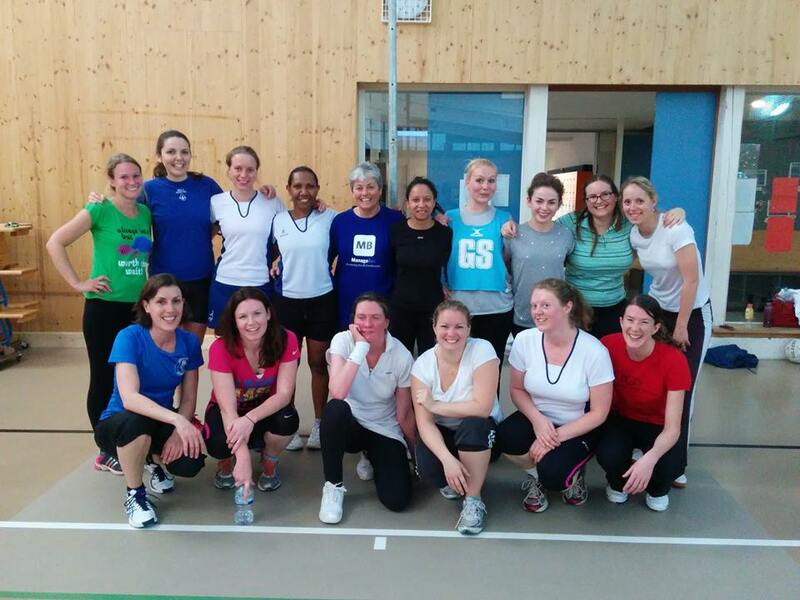 There’s lots going on with Zurich Netball this month… why not get involved?! 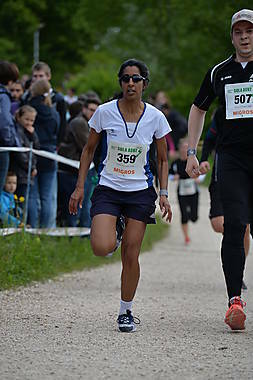 SOLA Stafette, 17th May- any last minute enthusiastic runners sign up here https://doodle.com/3m923683insymxrf or send us an email (zurichnetball@gmail.com) Otherwise, come down and support the team! Zurich has been invited to attend the international netball tournament being held September 6th in the beautiful city of Stockholm! 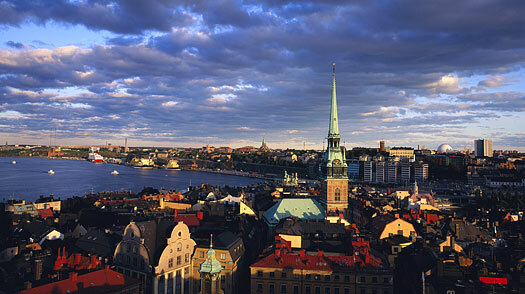 Other invited clubs include Brussels and Copenhagen. Please Note: players will have to organise and pay for their own flights and accommodation – as an example of what this might cost, currently return flights for the weekend with Swiss are 260 CHF, and a hostel bed would be 43 CHF pp per night if sharing a room with 3 others. All welcome: please sign up here by 18th May! 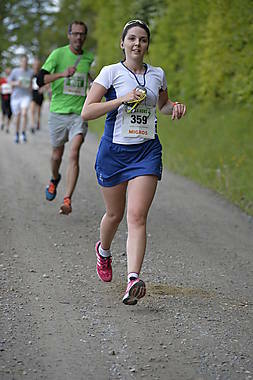 The event takes place at the Sportshalle, Bossard Arena, General-Guisan Strasse 4 Zug. This arena is a 5 minute walk from the train station. We are also invited generally to cheer on the Swiss National team during their games, including our own members Claudia, Christine and Jo.